Ladies!!! If you have been wanting to try out ALL of the amazing-ness that beautyblender offers, jump for this NEW Limited Edition All.About.Face Starter Kit. It’s a bundle valued at $54 BUT you can grab it for just $38. I don’t know about you, but I LOVE LOVE LOVE BeautyBlenders. They really changed the way how I apply my foundations and how my foundations wear. Not only is it a makeup game CHANGER, its a money SAVER!! 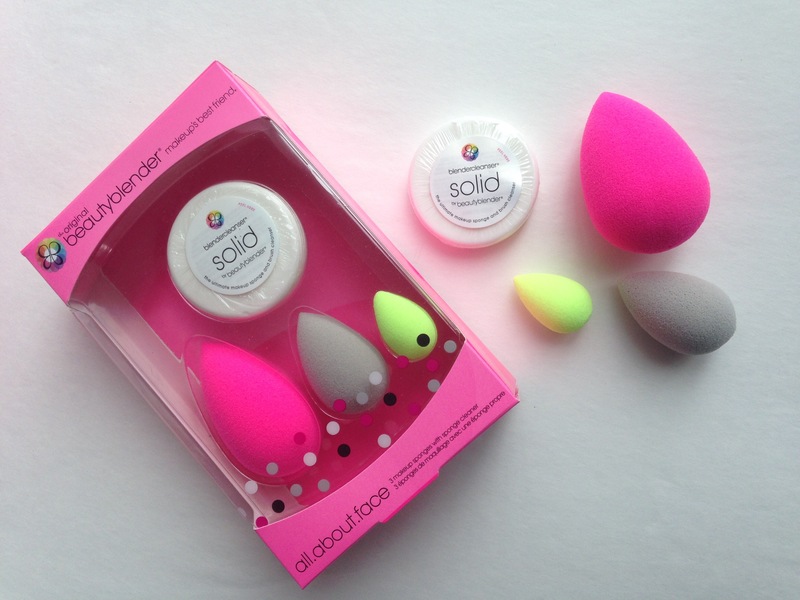 Have you tried a beautyblender? If not, what is your preferred way of applying a liquid foundation? NOTE: This post may contain affiliate links which means I will earn a TINY commission if you decide to purchase through that link. (NOT at the your expense of course) I appreciate it immensely if use the links. I enjoy sharing my passion with you & only post products I have used or love. I have been using the Beautyblender for years and I just can’t do my makeup without it!